Remote control cars are so much fun and these Hexbug stunt racers are so much more than a remote control car. They spin, flip, jump, zoom around and auto correct themselves. No need to run over and pick them up when they tip over, they auto correct themselves and keep on going! 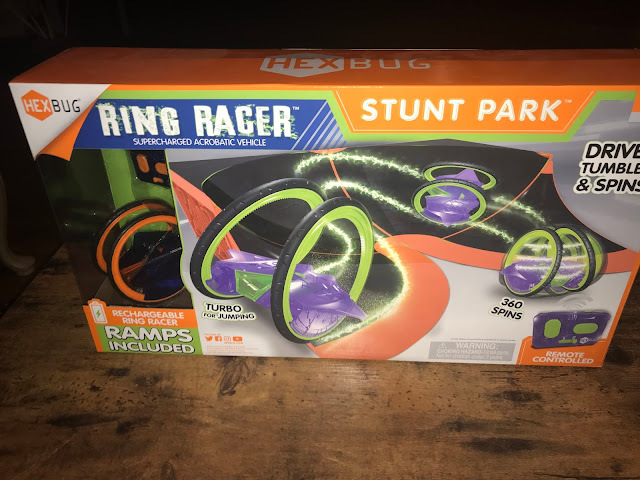 The Hexbug Ring Racers Stunt Park lets you have even more fun with your Ring Racers! The set has a stunt track that has 4 pieces and it can be reconfigured in various ways so that you can perform all different kinds of stunts with your ring racers. 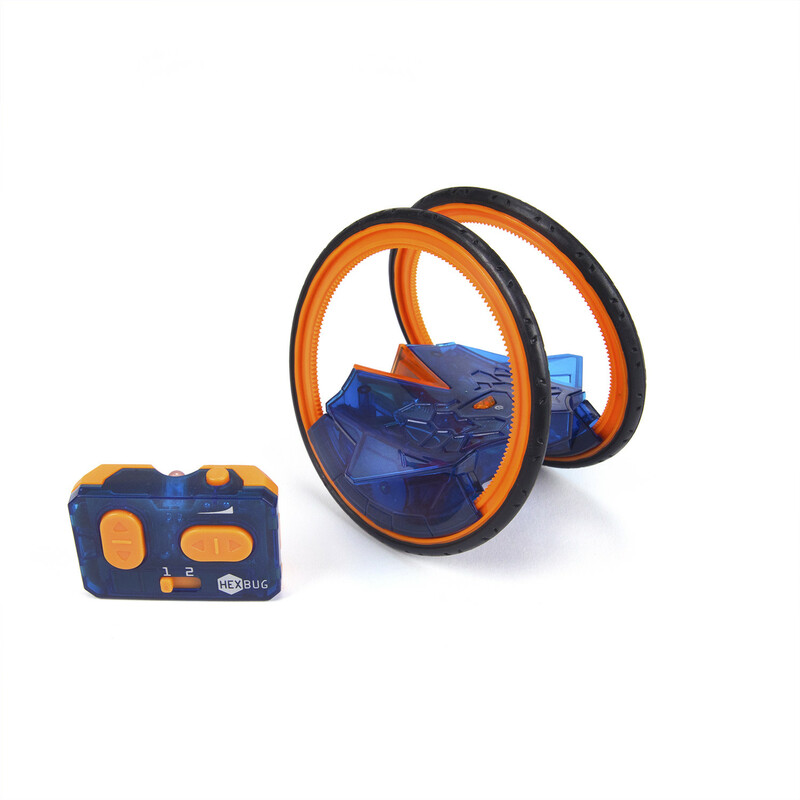 Each Stunt Park comes with 1 Ring Racer (other Ring Racers can be purchased separately), 1 Remote that can be paired with up to 2 ring racers independently, 1 USB Charger and 4 Pieces of Stunt Track. Check out this awesome video of the Ring Racer Stunt Park in action from Hexbug!